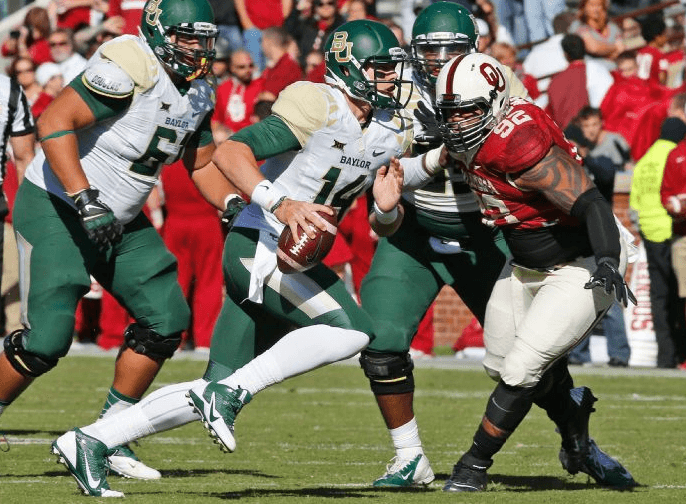 BAYLOR-OKLAHOMA IS FOX SPORTS 1’s MOST-WATCHED GAME THIS SEASON; SETS DEMO RECORD – Baylor came into Saturday’s Big 12 match-up against No. 16 Oklahoma ranked 10th in the nation. After a decisive 48-14 victory, the Bears moved up to No. 6, while knocking the Sooners out of the Top 25. The game, its lopsided score notwithstanding, attracted 2,048,000 viewers on FOX Sports 1, America’s fastest-growing cable network, making it the channel’s most-watched college football game of the season, and third most-watched all-time. Among Adults 18-49 it is the most-watched college football game in FOX Sports 1 history with 868,000 viewers in that key demographic. Later in the day, Texas’ 33-16 win over No. 24 West Virginia delivered 1,318,000 viewers making it the sixth most-watched college football game in FOX Sports 1 history. This Saturday (11/15), FOX Sports presents a Pac-12/Big 12 doubleheader as No. 17 Arizona hosts Washington at 3:30 PM ET, followed by Texas at Oklahoma State at 7:30 PM ET on the FOX broadcast network. Coverage begins at 3:00 PM ET with FOX COLLEGE FOOTBALL PREGAME. FOX Sports 1 coverage kicks off at 3:00 PM ET as No. 5 TCU continues its quest for a Big 12 title on the road against Kansas. At 10:00 PM ET, UTEP hosts North Texas in a Conference USA showdown. Also on the FOX Sports family of networks that day, No. 21 Marshall, one of three undefeated teams in the Football Bowl Subdivision, hosts Rice at 2:30 PM ET on FOX Sports Regional Networks.